Frozen daiquiris on the beach anyone? 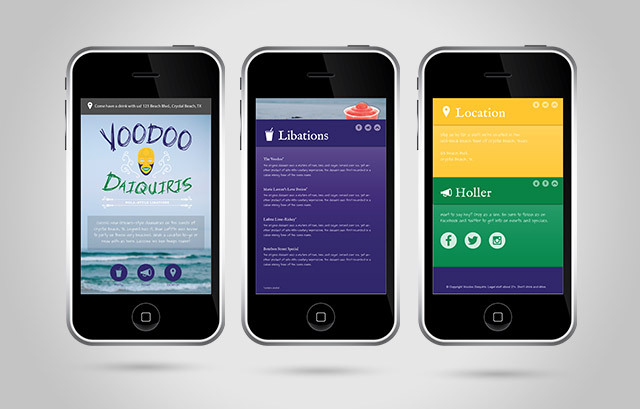 Voodoo Daiquiris came to me with a name inspired by the New Orleans drink itself and vague ideas for a logo. I took their inspiration and ran with it creating a logo, website and social media presence starring their unofficial mascot, £VoodooLouie. Relying mostly on tourism, I recommended gearing their marketing toward the smartphone user.